Step aboard a professional Lake Michigan salmon charter and tournament fishing boat-Manipulator. 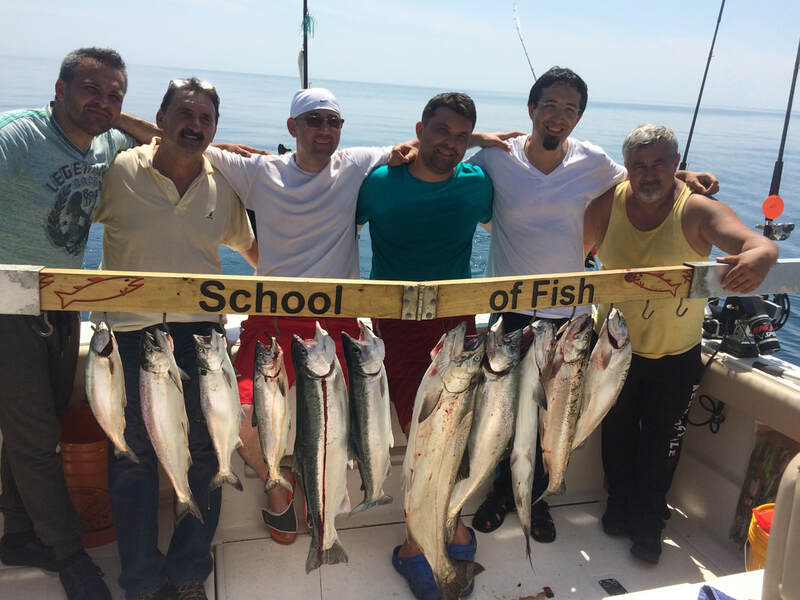 Charter Fishing the waters of Lake Michigan for coho salmon, king salmon, lake trout, brown trout and steelhead from Waukegan just can't be topped. The Chicago area offers action throughout the area and Waukegan is a top port. Manipulator, a 33' Tiara fishing machine, is fully equipped with the latest electronics and salmon fishing gear to make your outing successful. Salmon and Trout fishing allows a big game experience for your group. ​Captain Mike Fuys and Captain Scott Wolfe have the experience to put you on fish. The fishing changes from primarily a coho fishery in the early season to a mixed bag later in the summer. This makes Waukegan an exceptional port to visit and the reason we chose to make this our home base for our charter fishing operation. anglers to book the whole boat? ?